No matter how hard you may try, we understand how difficult it is to keep furniture and other upholstery clean. And if you have kids or pets, it’s that much harder. 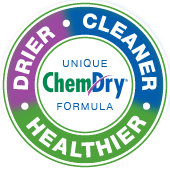 Thanks to Chem-Dry of Wake County, your furniture doesn’t have to stay dirty. Regular furniture cleaning can make your home feel fresh, clean, and like new. Our certified technician will walk you through our upholstery cleaning process, point out areas of concern and even come back and clean it again if you’re not satisfied. Furniture cleaning not only makes your home look better but cuts down on bacteria and odors in your home. 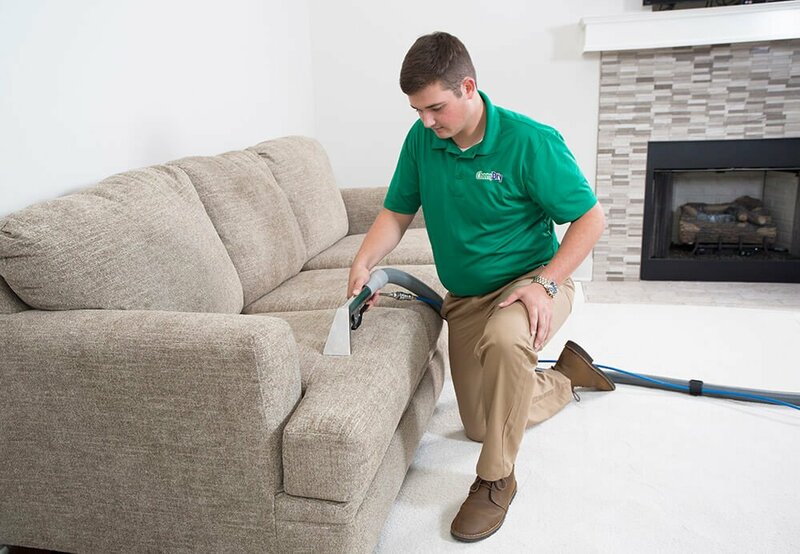 Before you consider replacing your furniture, give Chem-Dry of Wake County a chance to save it with our upholstery cleaning service in Raleigh & Cary, North Carolina. What’s Hiding in Your Furniture? As a preferred upholstery cleaner in Raleigh, Chem-Dry of Wake County work to provide a cleaning you feel confident about. Have you ever thought about how often you, guests, and family members have sat on your couch recently? Over time as your furniture is used and loved, dirt begins to build up in the fibers of the fabric. If you have a lighter fabric you may be able to see this staining but a lot of the time you can’t quite see the dirt, hair, oil, and germs that are collecting on your couch. Upholstery cleaning from Chem-Dry of Wake County is a sure way to help keep your furniture and other upholstery clean and fresh. We work hard to offer a cleaner, drier, and healthier upholstery cleaning in Raleigh, NC and the surrounding areas. “I called Chem-Dry of Wake County yesterday to inquire about furniture cleaning. I spoke with Jeremy who told me that they could be to my house in a matter of hours! The technician who arrived was wonderful. So knowledgeable and professional. We’ve had our sofa for over five years and it has been well loved by our daughter and new puppy. It honestly looks like new! I would absolutely recommend Chem-Dry of Wake County to anyone in need of furniture cleaning. We are about to become repeat customers–if our sofa looks this good, I can’t wait to see what they will do to our carpets!” – Robyn J. See what our customers are saying about our upholstery cleaning in Raleigh, NC. Read more reviews!